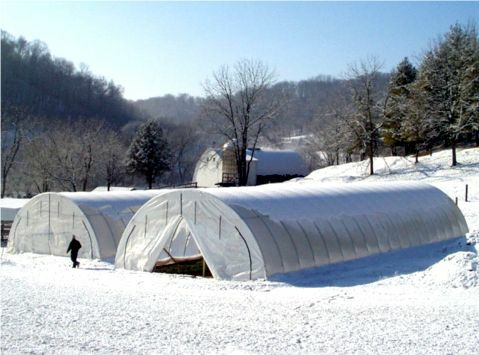 High Tunnels elevate temperatures over a several week period while offering protection from rain, wind, insects, birds and disease. 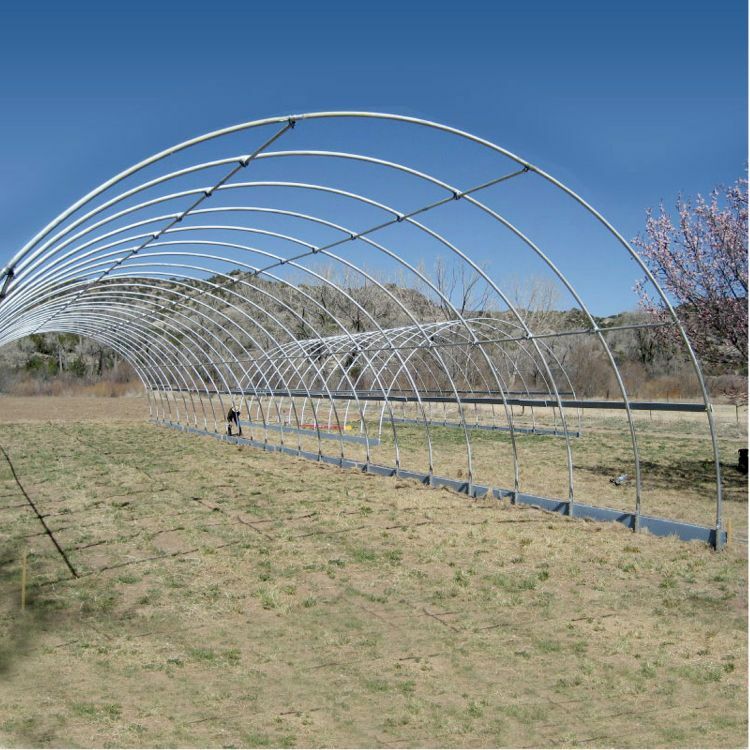 These inexpensive, high quality, protective hoop buildings can reduce the need for pesticides and help produce early, higher crop yields. Ideal for vegetables, small fruit, such as strawberries, cut flowers and more. 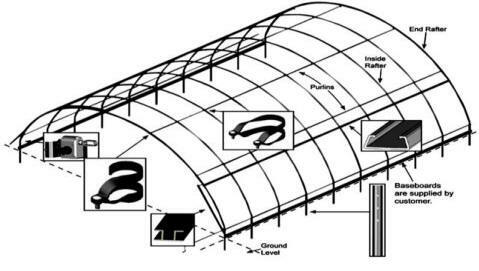 Growing in a high tunnel, also known as a hoop house, provides an easy and cost-effective way to establish greater control over your growing environment. 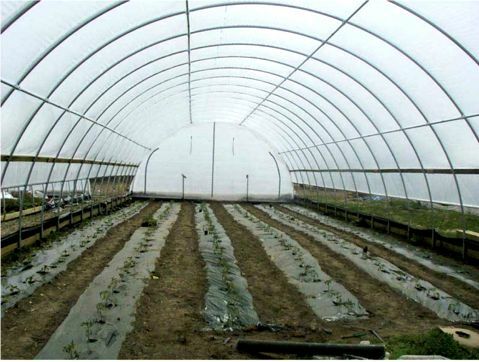 Let a Round Style High Tunnel enhance your crop yield, quality and profitability by up to 50%. Extend your growing season, save water and help keep crops free of diseases. Frames are manufactured from our Allied Gatorshield® structural steel tubing. Available with our 6 mil 4 year Greenhouse Film or our 5.2 oz., 12 mil Clear Greenhouse Covering. 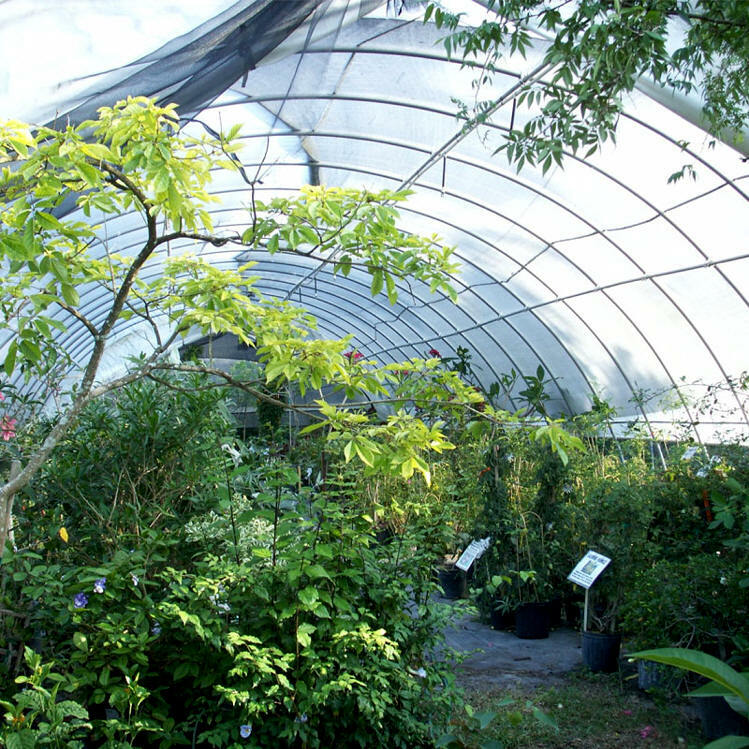 Our 6 mil 4 year Greenhouse Film is made from strong copolymer resin, with tri-layer construction and UV additives. This film offers 92% light transmission and comes with a 4 year warranty. Our PolyMax® 5.2 oz. Clear Woven Greenhouse Covering, with added UV inhibitors, is superior to all greenhouse fabrics and comes with excellent light transmission and a 3 year warranty. Structures 20'W or wider can be designed with Zippered or Roll-Up Doors. Both options are manufactured from 10 oz., 22 mil premium rip-stop translucent fabric. Roll-Up Doors feature our Hand Crank Assembly System for easy roll up. Triple-zippered end panels feature our heavy-duty, industrial-strength #15 Zippers and come complete with fabric clips for attaching. We recommend using a baseboard. Our Recycled Plastic Lumber, sold separately, comes with a 50 year warranty and is ideal.